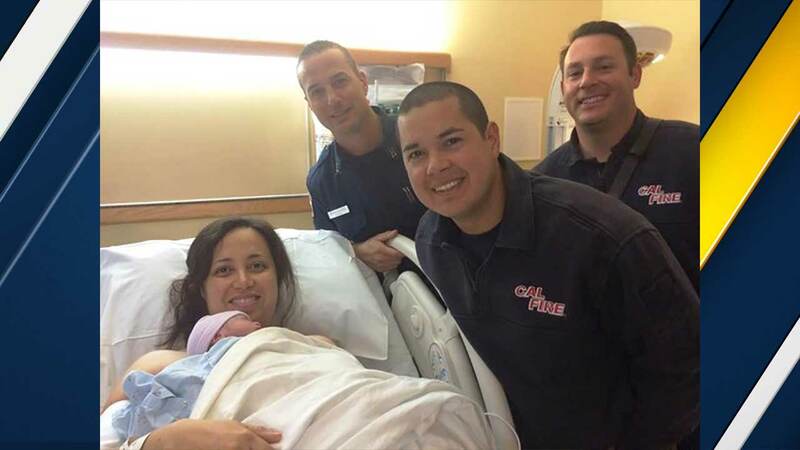 MORENO VALLEY, Calif. -- Firefighters helped deliver a baby boy at a Circle K in Moreno Valley on Christmas Eve, authorities said. Three firefighters from the CalFire/Riverside County Fire Department responded to a report of a woman in labor at the convenience store off Cactus Avenue and Elsworth Street shortly after 3:45 p.m. They arrived just in the nick of time and even helped the dad cut the umbilical cord. The mother and baby were transported to a local hospital by ground ambulance.